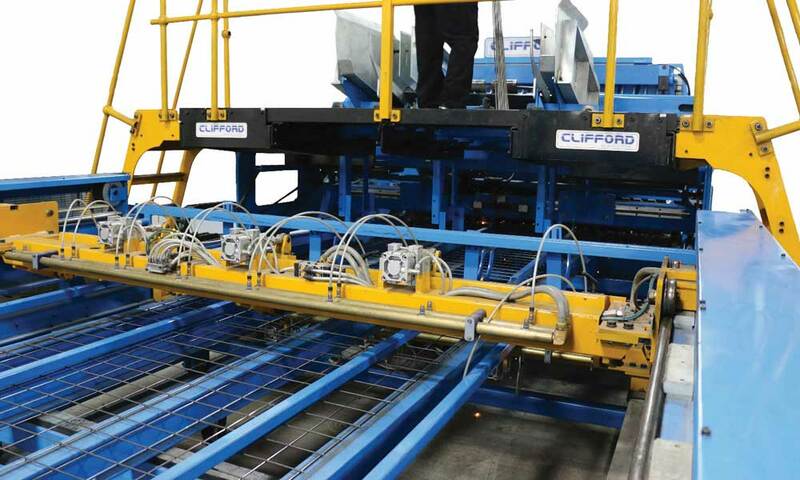 The Clifford MESH WELDING LINE is modular in design allowing the customer to match different elements of the product range to suit their individual requirements. The drawing above assists in giving the customer an understanding of these different elements and how they fit together in order to simplify the selection process of the different aspects of the welding line. The Clifford range of LARGE MESH WELDERS is differentiated based on customer requirements, mesh characteristics, mesh product type and investment sum available. Below find a table summarizing the three main types of Clifford welding portals. The welding portal forms an integral part of the mesh line and ancillary equipment which is again dependant on customer requirements are added to this portal to arrive at a suitable solution to customer needs. 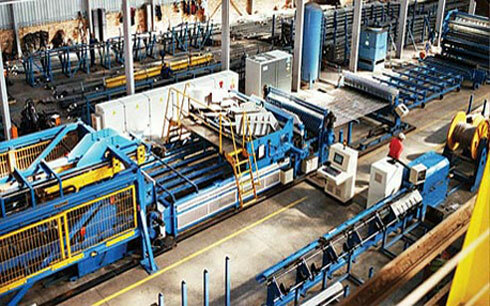 Such ancillary equipment includes line wire payoffs, line wire control, line wire feeders, cross wire insertion, mesh extraction, shears, stacking and turning, coilers, mesh transport and other such ancillary equipment which is detailed in the pages following.